While not exactly a huge shock, Microsoft just made a lot of racing fans happy at their Xbox E3 2018 Briefing, by announcing Forza Horizon 4. As previously rumored, the game will be taking place in the UK, and the series is looking as impressive as ever. Check out the debut trailer, below. 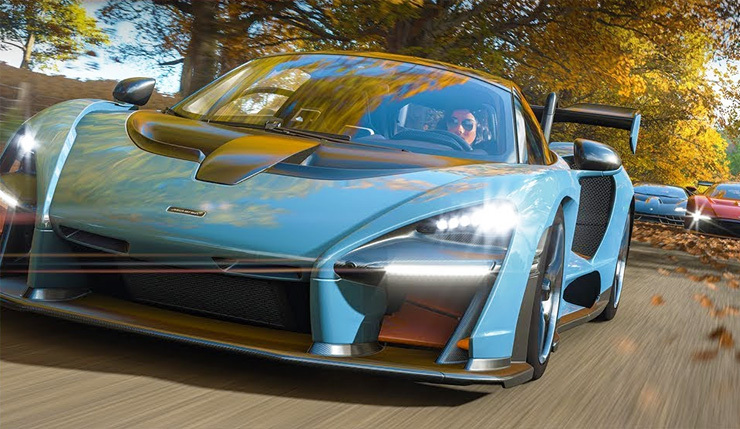 Collect Over 450 Cars and Customize Your Horizon Life – With over 450 cars from more than 100 licensed manufacturers, Forza Horizon 4 features the largest and most diverse Horizon car roster yet with all the customization options Forza players love, like new Drift Suspension upgrades and driver personalization with character clothing, accessories and emotes. And for the first time in the Horizon series, players can own property that unlocks new items and gameplay perks. You can check out a gameplay demo of Forza Horizon 4, below. I’ll admit, I haven’t delved that deeply into the Forza Horizon games in the past, but there’s no denying Forza Horizon 4 is looking very impressive. What do you think? Eager to hit the winding roads of Merry Old England? Forza Horizon 4 cruises onto PC and Xbox One on October 2.